A Kilogram is 2.204622622 pounds. But for practical purposes we can consider 1 kilo = 2.2 pound conversion. So we can convert kilos to pounds by multiplying by 2 then by 1.1or by 11 then by 0.2 depending on which is easier. 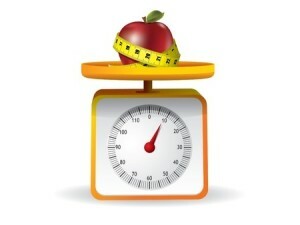 42 kilos is (42 x 2) x 1.1 = 84 x 1.1 = 92.4 lbs. 303 kilos is (303 x 11) x.2 = 3333 x .2 = 666.6 lbs. A Pound is about 0.45359 kgs. We can use 1 pound = 0.45 kilograms which is about 99.2% accurate for ordinary computations. To multiply by 0.45 we can multiply by 0.9 then divide by 2 or vice versa. 120 lbs is ( 120 ÷ 2) x .9 = 60 x 0.9 = 54 kgs. Note that if we multiply 0.45 by 2.2 we will get 0.99. This entry was posted in MATH-Inic, MSC and tagged 25 MSC, convert kilos to pounds, convert pound to kilos, kilo to pound conversion, Math short cuts, MATH-Inic, memory techniques, pound to kilo conversion on September 15, 2014 by Jose Adonis Duma.